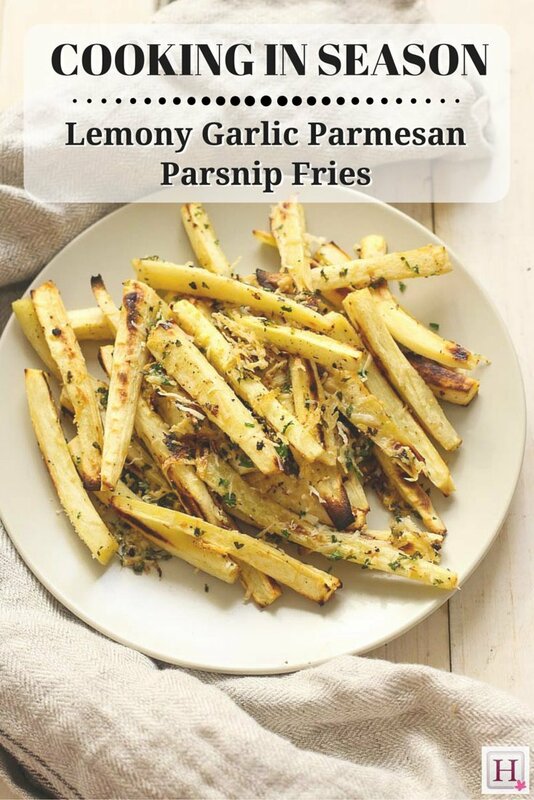 A delicious way to enjoy your parsnips. Parsnips are one of those overlooked root vegetables that you tend to buy around Thanksgiving. It's easy to forget that they are in season right through winter to early spring. 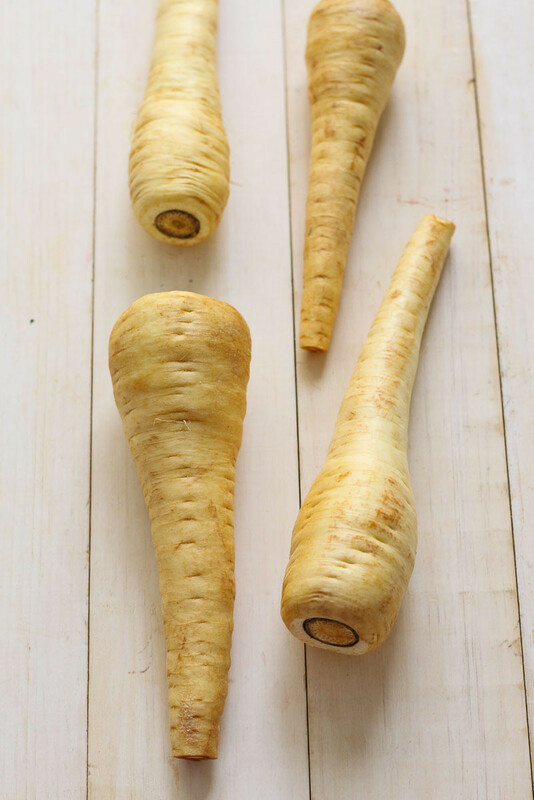 Closely related to carrots and parsley, parsnips have a distinctive nutty flavour not unlike turnips, but look like a pale, golden-white carrot. They are high in vitamins and minerals such as potassium, and contain a high level of antioxidants and dietary fibre. Native to Europe and Asia, parsnips are one of the oldest cultivated crops (in fact, they were cultivated by the Romans! ), and were introduced to North America in the 1800s. This hardy vegetable actually prefers cooler climates, and requires frost to convert its starches into sugars, giving them a sweet flavour come fall. Parsnips are often kept alongside other root vegetables, such as carrots, sweet potatoes and the like. They should never have leafy greens or shoots on them like carrots, because their sap can be toxic. Be sure to choose parsnips that are firm and blemish-free; they are sold in either big plastic bags or by the bunch. Parsnips can be stored in the fridge for up to a week before they start to soften and wilt. To make them last longer, wrap them in a damp paper towel and a plastic bag in the vegetable drawer of your fridge. Parsnips can also be frozen if blanched and cubed. To blanch them, cut into cubes and cook for about 3 to 4 minutes until just tender, then dump in ice water to stop the cooking process. Just like carrots, you will want to peel the skin off of your parsnips before using them. Parsnips are best served roasted in the oven, but they can also be steamed, boiled, pan-fried or served mashed. They best accompany roasts and fish, but they also work beautifully in soups and curries. 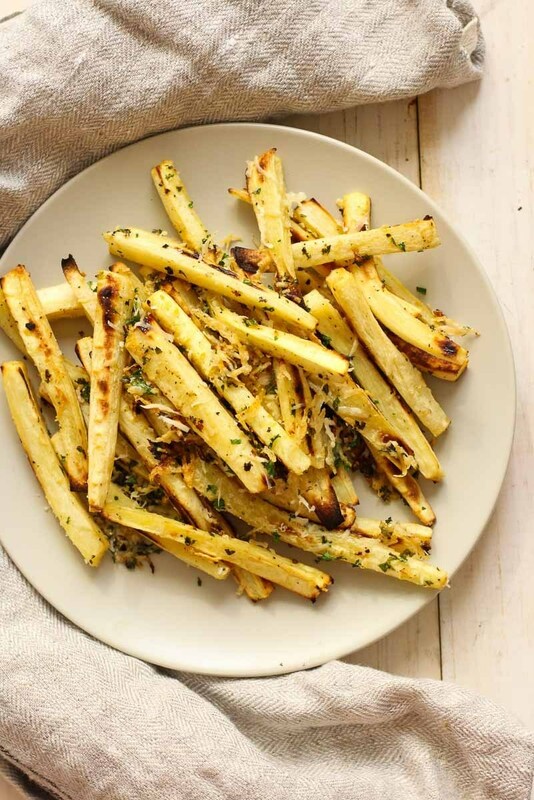 Peel parsnips to remove outer layer of skin, and cut into 1/2-inch thick fries. Toss in olive oil, lemon juice, garlic, salt and pepper. 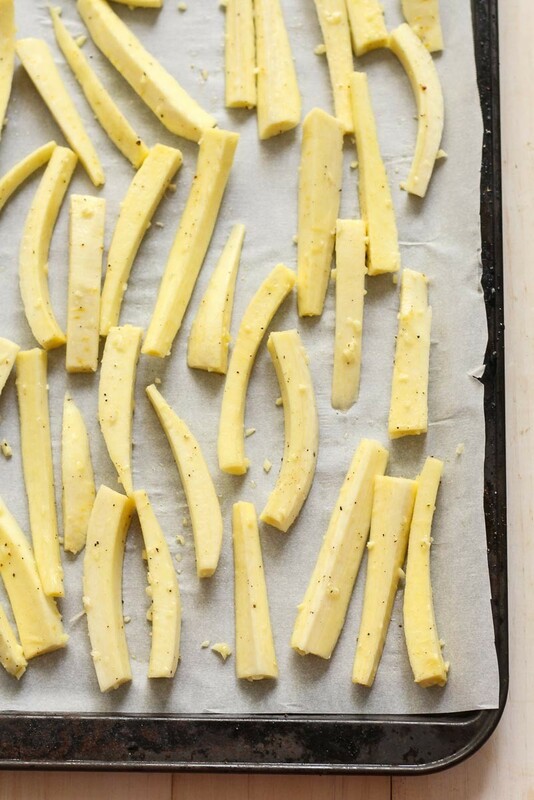 Spread out fries on a parchment paper-lined baking sheet, and then cook in the oven for 15 minutes on one side. Remove from oven, flip fries, and then cook for another 8 minutes. Remove from oven and sprinkle with Parmesan cheese and parsley. Cook for another 3 to 5 minutes until fries are relatively crispy and cheese is melted. Enjoy as a side dish to your favourite mains or as a healthy snack!